BEAUTY | New Hair! | Nicki Kinickie Nicki Kinickie: BEAUTY | New Hair! Just a quick post from me this afternoon to say looky at my new huuurrrrr. 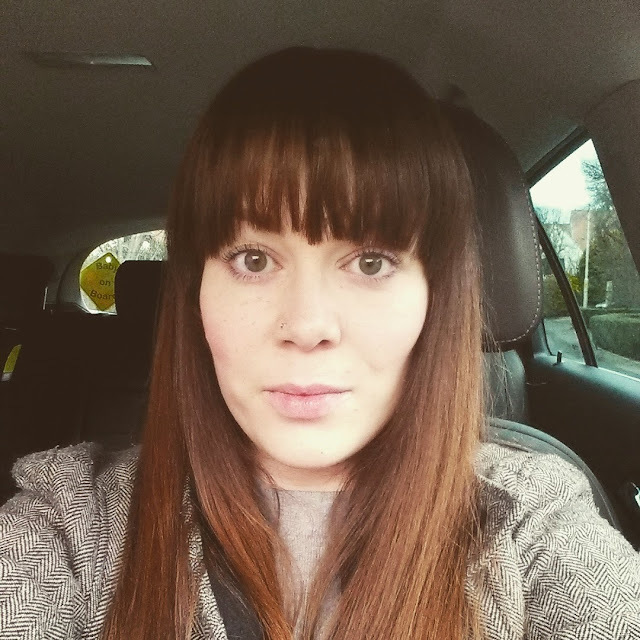 If you follow me on Instagram then I guess this new hairstyle is old news to you now but I am so so pleased to have had a little bit of a revamp, adding in a fringe and chopping a little off of the length. It makes such a big difference! I cannot recommend ENOUGH what a difference putting coconut oil on your hair before washing makes either. It is best if you do it then leave it in over night and then wash it out in the morning, you will notice a BIG change in the softness of your hair. If I leave mine to dry naturally it literally feels like wire wool before and after it is brushed even with product in, the only way to save it is to straighten it and make it smooth. After leaving it to dry having washed it post coconut oil treatment it still felt soft after being left to dry naturally. Costco sell a massive tub for around £12 which is a bargain as it is very expensive in most places even for a small tub (which is what has previously put me off buying it) so if you know someone who is a member, insist they take you along on their next trip there. Looks so good and your cheekbones are KILLER! Swit swoo! I gave my hair a coconut oil hair mask yesterday while I was doing housework and today it feels incredible - annoyingly I also tried a new serum at the same time so I'm not 100% sure which product should be taking the glory! Wow gorgeous. I should try coconut oil too.